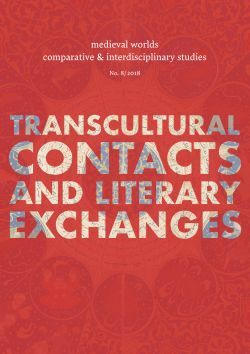 This essay reviews the ERC-funded project Mobility, Empire and Cross-Cultural Contacts in Mongol Eurasia conducted at the Hebrew University of Jerusalem (1/2013-12/2017). The project has studied the impact of the Mongol Empire (1206-1368) on world history through the prism of mobility. It aimed to explain why, how, when, and to where people ideas and artifacts moved across Eurasia and what were the outcomes of these population movements. Guided by »the humanistic approach to world history«, namely combining a world history perspective with a close reading of multilingual primary sources, the project has created a sophisticated prosopographical database for studying these movements. The database records multilingual information about people who were active in Mongol Eurasia, currently indexing more than 13,500 persons. This unique resource enables the study of various groups of migrants (tribes, captives, experts, etc. ); networks of economic and cultural transfer; and various imperial institutions (army, diplomacy, imperial sons-in-law), thereby illuminating the era’s social and cultural history. Stressing the pivotal role of the nomadic Mongols in initiating population movements, it analyses how these movements created multiple cross-cultural contacts; triggered massive ethnic, religious and geopolitical transformations, and led to a closer integration of the old world. The enhanced connectivity created both a common imperial culture – material, political, administrative – across Eurasia, and relativism of knowledge and religions. These, in turn, left a considerable imperial legacy to later polities, and helped shape the transition from the medieval to the early modern world. Yielding more than 80 publications so far, while various books, volumes and dissertations are in the making; training and grooming a considerable portion of the next generation of Mongol Empire scholars; and contributing significantly to the globalization of Mongolian studies worldwide, the project’s main legacy has been the study of the Mongol Empire on its own terms and within its full Eurasian context.